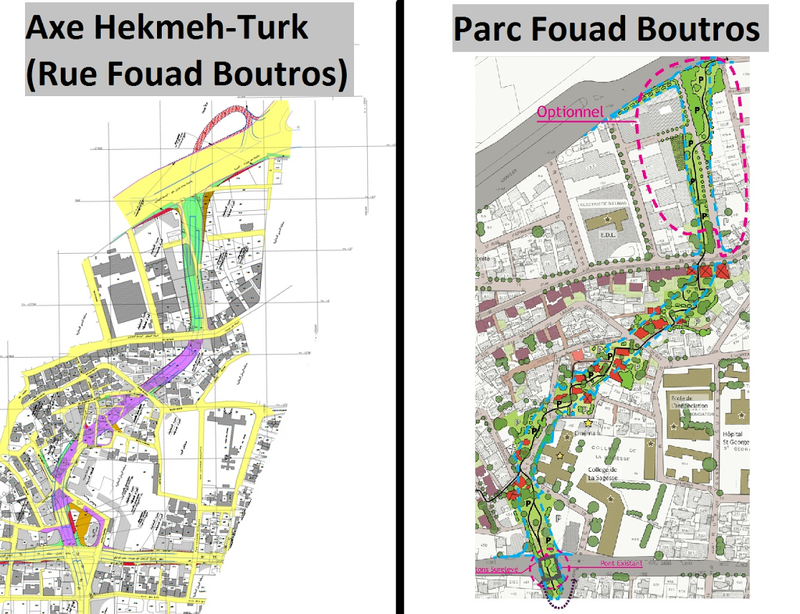 Boutros road or Boutros park? 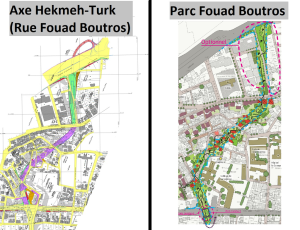 Activists have sent me these sketches comparing their proposal for a park with the municipality/CDR plan for a road that would slice through Ashrafieh, one of Beirut’s oldest and most picturesque neighborhoods. The municipality says it is set on the decision and has already chosen a contractor. But activists plan to put up stiff resistance to the four-lane road, arguing that it will negatively impact both residents and commuters, in addition to wrecking the character of the neighborhood, its few remaining green spaces and architectural heritage. Look for my piece in The Daily Star this week, weighing the arguments for and against, including some interesting revelations from both decision-makers and people on the ground. UPDATE: The city has rejected any plans for the proposed park above. Read interviews with officials in my piece for The Daily Star. how can I get this 2 plans in detail please ?